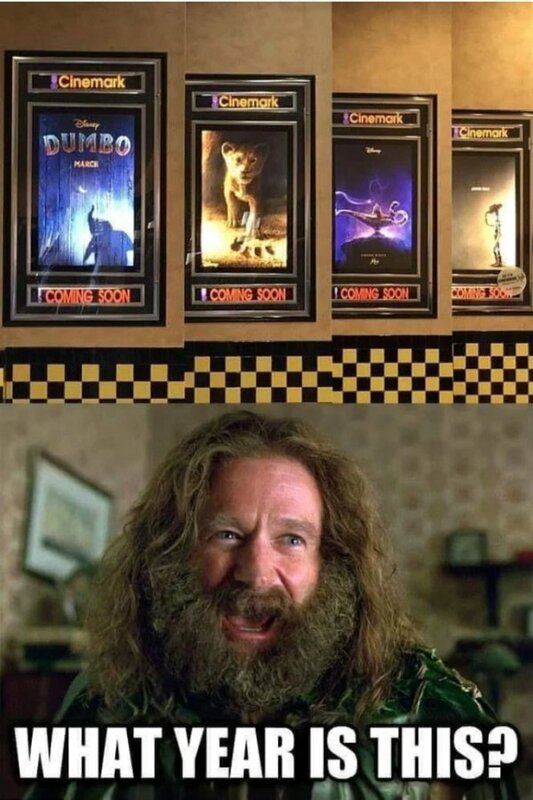 Dumbo, Lion King, Aladin, and what? Sort of a combo breaker isn’t it? Being a sequel and not a remake. Sure it’s not Short Circuit? On embiggening it, yes you’re right. I thought Tiki was stretching it to be funny. 5? Ohh -k.